1000mg MET-Rx® TONALIN CLA 1000 Supplement is designed for elite athletes, bodybuilders and anyone striving to get into peak condition. 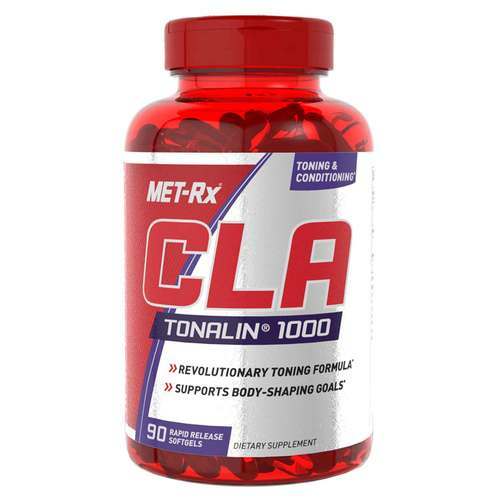 Use MET-Rx® TONALIN CLA with your intensive training and sports nutrition program to support your body-shaping goals. 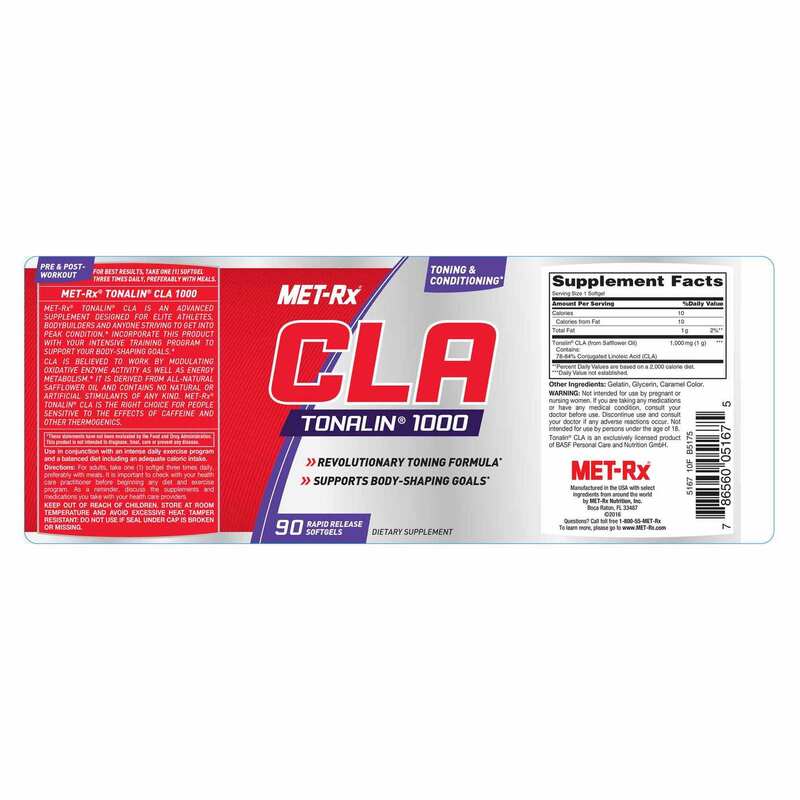 * Don't accept imitations - MET-Rx® utilizes a time-tested form of CLA. Derived from all natural safflower oil and contains no natural or artificial stimulants of any kind. Perfect for people sensitive to the effects of caffeine and other thermogenics. Warnings: Not intended for use by pregnant or nursing women. If you are taking any medications or have any medical condition, consult your doctor before use. Discontinue use and consult your doctor if any adverse reactions occur. Not intended for use by persons under the age of 18. KEEP OUT OF REACH OF CHILDREN. STORE AT ROOM TEMPERATURE AND AVOID EXCESSIVE HEAT. TAMPER RESISTANT: DO NOT USE IF SEAL UNDER CAP IS BROKEN OR MISSING. Recommended Use: For adults, take one (1) softgel four times daily, preferably with meals. It is important to check with your health care practitioner before beginning any diet and exercise program. As a reminder, discuss the supplements and medications you take with your health care providers.